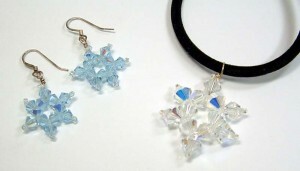 Sweet holiday dangles for earrings or necklaces…we LOVE making these great designs with Swarovski crystals! So sparkly for the season! These make great gifts too!